Our team are here to help whenever you need our support or advice. We’ve made it as easy as possible to get in contact, in a way that suits you. This knowledge hub is our self-service help portal that’s available 24×7. It’s often the best place to start when you have a question as quite often the answer will be here. You can either browse the topics on the left, or use the search box to find answers. If you can’t find what you’re looking for then you can contact your account manager using one of the methods below. 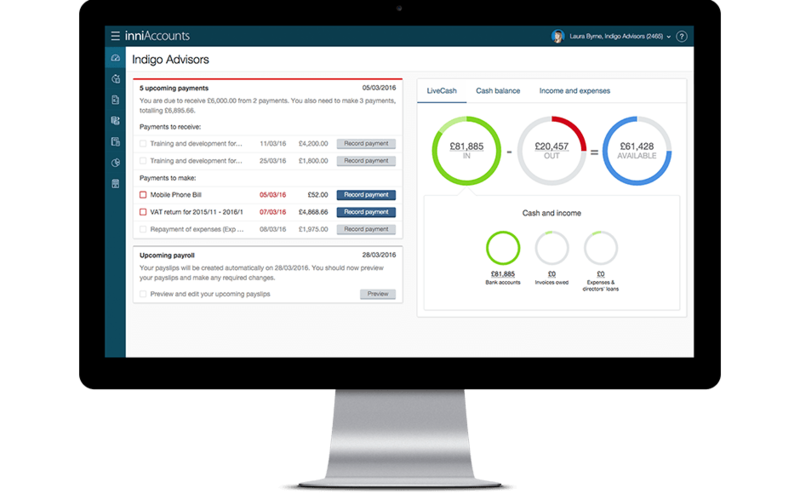 We’ve invested in an online messaging portal that allows you to communicate securely with your account manager and accountant. The messaging portal keeps track of all the emails communication with our team meaning you don’t need to trawl through your inbox to find your emails and our replies. You can use the messaging portal to send secure messages and upload attachments. Each time we send you a response our email will contain a link to take you straight into the conversation in the secure portal. You can then view the full conversation associated with our reply. Use your inniAccounts username and password to login to the secure messaging portal. Just send your emails to support@inniaccounts.co.uk and they’ll efficiently and quickly get routed to the right team member. Your email will automatically be added and viewable via the secure online messaging portal. Sometimes you may prefer to chat something over. Just give us a call on 0800 033 7827 (or 01332 460 010 if you’re calling from a mobile). We have a quiet little fax machine in the corner. If ever you have something interesting for us, you can wake it up by sending your documents to 01332 386 440.